If one thing is clear, is that the history of Star Wars games has been a rocky one. While there have been some superb Star Wars-based games like Bioware’s Knights of the Old Republic, other Star Wars games like Rebel Assault 2 simply weren’t so great. And last year’s Star Wars Battlefront II got a lot of flak from critics due to its microtransactions, in what turned out to be one of the year’s top video game controversies no doubt. 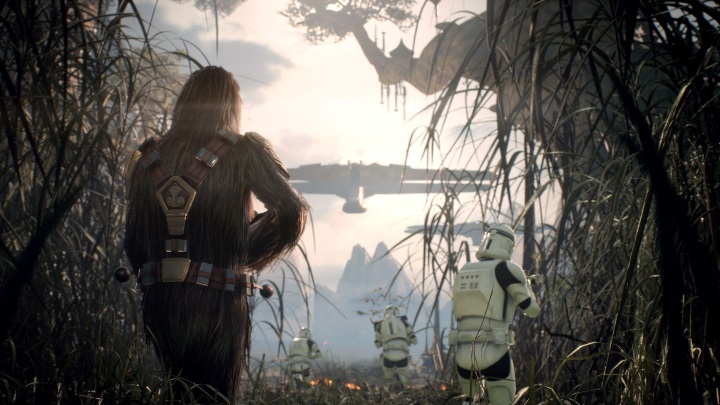 The game itself was pretty solid overall as we pointed out in our review, but gamers’ hatred for publisher Electronic Arts’ microtransaction plans for the game (which the company had to drop at the eleventh hour) meant Star Wars Battlefront II failed to sell as well as its predecessor. It did not help either that Electronic Arts (EA for short) had previously shuttered Dead Space studio Visceral Games in October 2017, and put its Star Wars game on hold. That Star Wars game was to offer a story-driven experience a la Uncharted, with a focus on characters and action set pieces, although now we’ll never know for sure how this would have turned out. Amongst the people working on it was Amy Hennig, who had previously been at developer Naughty Dog working on the Uncharted games. But it appears EA has now rebooted Visceral’s Star Wars game and is turning this into something else entirely, as a recent job listing (via GameSpot), reveals the company is now developing a “Star Wars Open World project”. It remains what kind of game this will be exactly, but given the nature of the job listing EA put out this will likely have a strong online component and a focus on multiplayer too. And given the success of Rockstar’s GTA Online this is not surprising at all, and it’s almost a certainty that microtransactions will feature prominently in some form or another in this new Star Wars game too. What’s clear though, is that it hasn’t been smooth sailing for EA since Disney granted the company exclusive rights to develop and publish Star Wars games. After all, Star Wars Battlefront II’s controversy last year and Visceral’s closure and cancellation of their Star Wars game were sore points for sure. And it remains to be seen how studio Respawn Entertainment’s (which EA bought last December) third-person Star Wars game will turn out. It’s not so surprising then, that Disney might be considering passing the Star Wars baton to other companies like Activision and Ubisoft. And especially the later sounds like a good candidate given how it has been specializing in making good open world games over the years with their Far Cry and Assassin’s Creed series. Of course, EA’s next Star Wars game might be a rousing success and leave Disney execs ecstatic and gamers happy too, so here’s hoping that the company’s upcoming open-world Star Wars game really turns out to be something special when it’s released sometime in the future.